Research Mission: Analyzing large and high-dimensional data sets is a challenging task and ideally carried out using sophisticated tools which allow to concentrate on the most relevant information and to automate the analysis. These goals can be achieved using feature-based methods, which foster target-oriented studies of the most important aspects of a data set. We develop algorithms and mathematical models to analyze data sets from a variety of different domains such as computer graphics, fluid dynamics, planetology, and cell biology. The basis of our work is discrete Morse theory, as it allows robust, parameter-free, and topologically consistent computations. Our goal is to develop solutions to the open problems of discrete Morse theory in order to make discrete approaches applicable for a large number of practical applications. 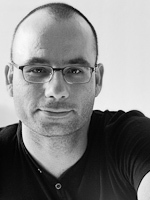 Since 01 February 2015 Tino Weinkauf holds a Chair of Visualization in the School of Computer Science and Communication, KTH Stockholm.